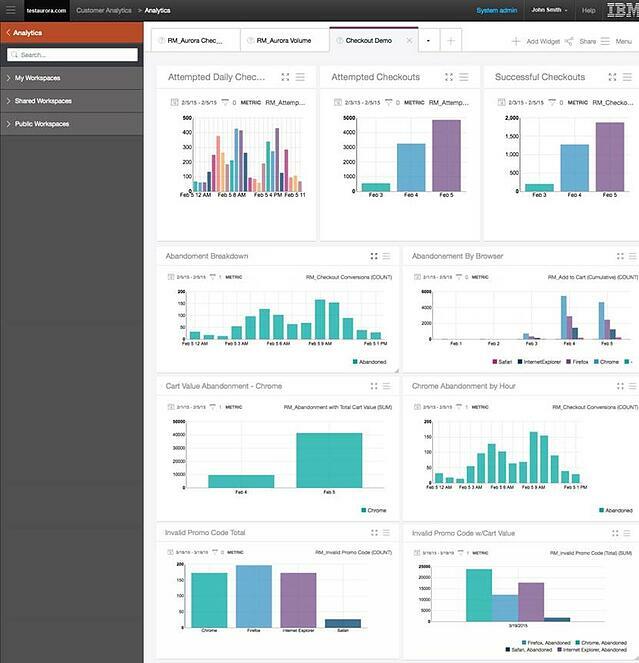 There were significant enhancements in March to IBM Tealeaf Customer Experience on Cloud (aka Tealeaf SaaS). IBM Tealeaf SaaS has been in market just over a year and provides an affordable entry point to companies that may have looked at a traditional on premise Tealeaf implementation in the past, but did not make the jump because of cost or complexity. The initial version of Tealeaf SaaS did not had the same level of functionality as the on the premis version , but that gap is quickly closing. The addition of IBM Tealeaf CX Overstat on Cloud to Tealeaf CX on Cloud fills one of those gaps. 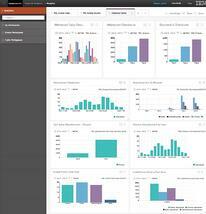 Tealeaf CX Overstat provides heatmap and form analytics as is now available on Tealeaf SaaS as well as the traditional Tealeaf On Premise product. 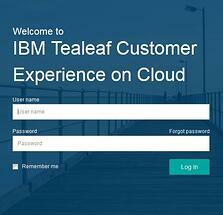 For information on IBM Tealeaf CX on Cloud click here. Heat maps, comparison analytics, and link analytics show where customers click, tap, hover, or swipe so you gain a true understanding of how they are interacting with your web and mobile applications. Form analytics identify where customers struggle when completing a form, so that you can reduce drop off rates and increase conversions. Usability analytics provide an opportunity to improve customer experience on both web and mobile applications and do so at a tremendous ROI. For companies truly committed to improve customer experience and moving past traditional web analytics to solutions that enable them to understand why customers behave the way they do, tools such as Tealeaf CX on Cloud provide tremendous value. Now options are available with a very robust set of usability analysis capabilities exist at affordable price points. To learn more about IBM Tealeaf CX on Cloud or specifically Tealeaf CX Overstat on Cloud, click below. We are proud to announce the availability of IBM Tealeaf CX hosted in the Cloud. This solution combines the strength and robustness of the traditional on premise based implementation of Tealeaf CX with the speed of deployment and time to value of the new IBM Tealeaf SaaS offering. This is an exclusive offering from Pereion Solutions brought to market in partnership with Oxford Networks. This is a full function "no compromise" implementation of IBM Tealeaf CX hosted in a cloud environment. IBM Tealeaf has a reputation as the leading web and mobile customer experience analytic solution in the marketplace based on a robust portfolio of clients in retail, travel, telecommunications, and financial services. This implementation takes full advantage of the cloud features announced with v9.0.1 and the virtualization features announced in v9.0.2 earlier this year. The solution architecture enables us to preserve web site availability and performance, while capturing the network traffic in a fully virtualized private hosted cloud. By standardizing the Tealeaf deployment in the cloud, we are able to reduce complexity, accelerate the time to value, and maintain the ability to implement the full Tealeaf product portfolio. Oxford Networks provides the cloud infrastructure, fiber optic internet network backbone, and high security data center for this solution offering. Oxford Networks is based in Lewiston, Maine and recently merged with BayRing Communications in New Hampshire expanding their IT and telecommunications carrier service capabilities. In addition to a hosted Tealeaf CX cloud, this is a fully managed Tealeaf application environment including Tealeaf application and system administration. Tealaf event administration and analyst services are also available. This enables clients to focus on real web and mobile customer experience improvements while minimizing investments in capital infrastructure costs and staff related operational expenses to manage the environment. You can read more about this offering on the Pereion Tealeaf CX Hosted in the Cloud page. This is a perfect solution for midmarket companies or business units in a larger enterprise looking to avoid a complex implementation with a lengthy deployment cycle. Please click below if you would like to request information on the Tealeaf CX Hosted in the Cloud offering.